Although we can say that most of the population around the world is fantasizing to own a tablet or an Ultrabook there are a few who might even be looking for Netbooks. Now we have good news for the Netbooks fans as Acer, the Taiwanese computer manufacturing company, is about to release their latest Netbook which is equipped with one of the Sandy Bridge line of processor. The device is called as the Acer TravelMate B113, and has an 11.6inch display. 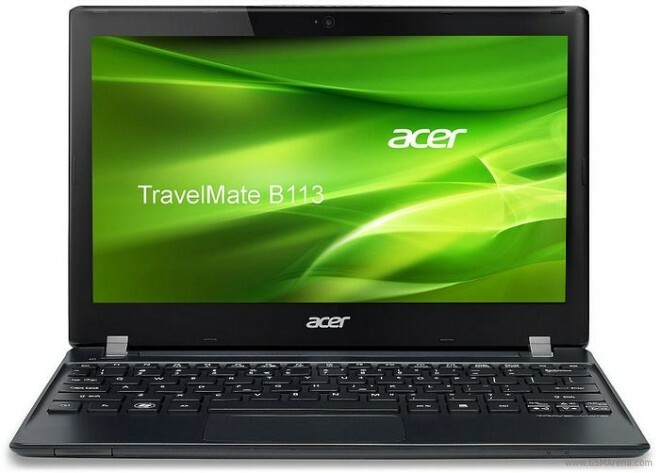 It is equipped with Intel Celeron B877 processor, which is a Sandy Bridge processor. Although this processor is not counted among the fastest chips but we may say that it offers quite a decent performance for the users. Apart from this processor, if anyone wants another option in upgrading the device to a powerful one then he can opt for other options as 1.3GHz Pentium B967 or a Core i3-2377M processor. The i3 processor will be able to run the device at a speed of 1.5 GHz. This device is also expected to be equipped with a 4GB of RAM, a 500GB of hard drive, Wi-Fi and USB 3.0 connectivity. Like other Netbooks this device also lacks the DVD Drive but it is also said to be a bit heavier than other regular Netbooks. Although nothing much is known about this device yet but it is expected that the top model for this device might even reach around $700. And if it is so then it will be a bit pricy as lower range Ultrabooks are also available around that price and the consumers may choose Ultrabooks.